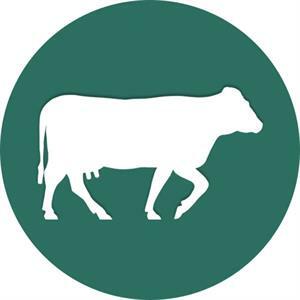 Global Cattle Exports are the trusted and respected experts for Holstein cattle imports. Robin Loxam, an experienced dairy farmer himself, has been advising milk producers across the UK for more than 40 years – so much so that many of our customers trust us to import high yielding dairy cows for them without seeing the beasts themselves until they arrive at the farm. We operate a high level of service to our farming customers, using no middlemen, so we keep our costs low and pass the benefit on to you. Nevertheless, you can be assured we take no short-cuts when it comes to the welfare of the animals. Why not find out more. Van de Wetings, our transporters, are the best in the business, and the cows’ comfort is paramount at every stage of the journey. Their vehicles are specially equipped, and the drivers fully trained, to ensure cows have regular comfort stops for feeding, milking and exercise; vehicles are spacious, with comfortable flooring and each cow has its own water supply which is topped up with fresh water. Healthy, happy cows give the best milk. Trust Global Cattle Exports to help you buy your dairy cows and you’ll get a first class service delivering first-class milkers, ready to go straight into your milking parlour and start producing. Get in touch with us today. We understand what you are looking for in your high yielding dairy cows. No short-cuts are taken when it comes to the welfare of the animals. If you want first class service delivering first-class milkers, contact us now.